Tried Lip Addict and the Result Is Unbelievable! One of my most favourite thing to do is to eat and next will be attending fun events with amazing people. When it is with the Butterfly Malaysia family then we all know that fun is guaranteed. Also, I love how well they organize an event with lots and lots of food! I had an opportunity to visit a different cafe named Happ Cafe. It was so unique as it was flower cafe. Must be the first that I have known. They sold flowers and beautiful bouquets in their shop while serving excellent desserts. It is a must visit for sure. 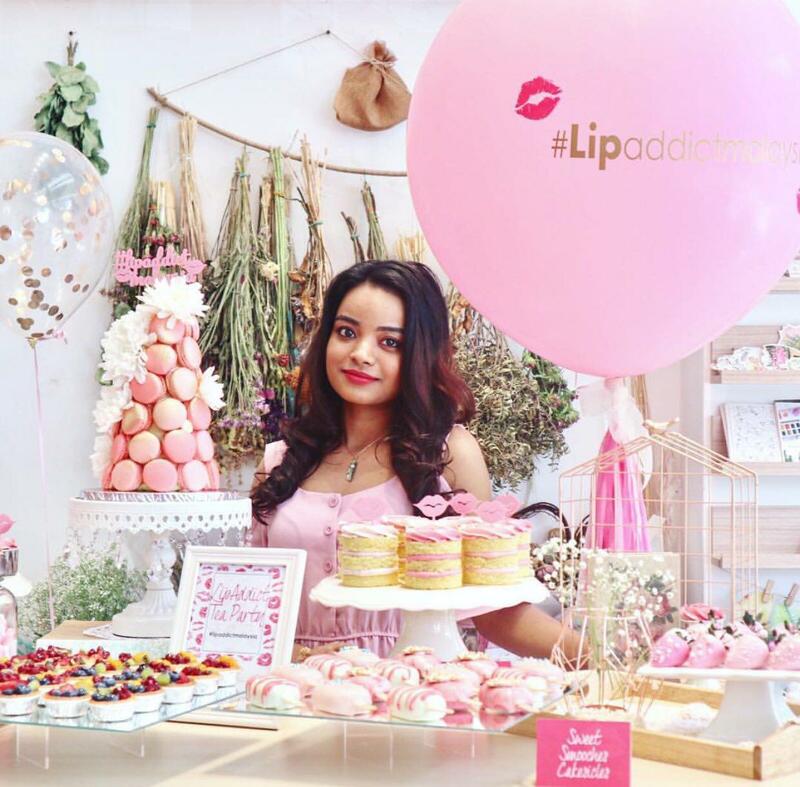 This time I had an opportunity to be a part of Lip Addict Malaysia. Yes, I had no idea on what is Lip Addict. I googled and I learned that it is a Lip Plumper. 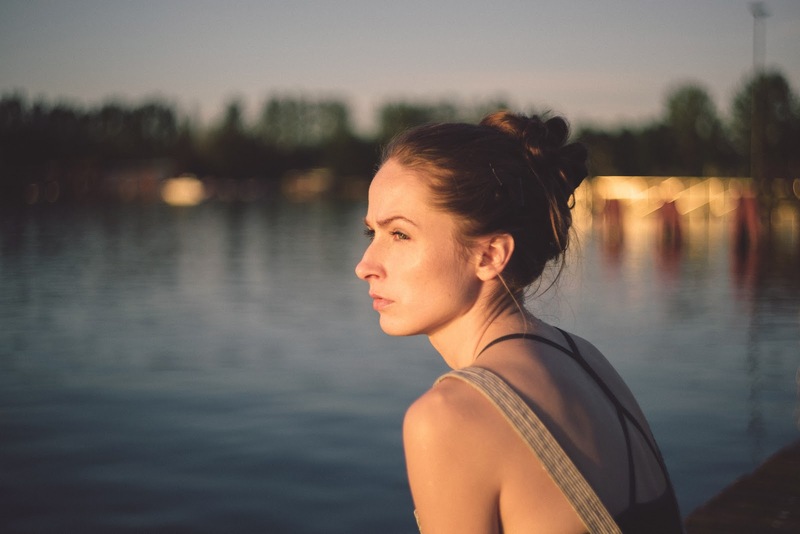 I was more perplexed as I have always believed that we need to inject some lip fillers in order to make our lip a little plump then it already is. Put the blame on Kylie Jenner's gossip that I have been reading without a fail! I had millions of doubts and everything was cleared in the presentation the Butterfly Malaysia organized for us. Can a Lip Stick contain all the 4 benefits and at the same time keep your lips looking super amazing? Lip Addict can! The main objective of the brand is to being a better and a more natural us without the use of any needles! Being someone who is scared of injections and someone who can't even tolerate a mild pain, it is a big NO when it comes to using needles and knives in order to add beauty on my face or body. So Lip Addict did pull my attention when they said no needles are involved. 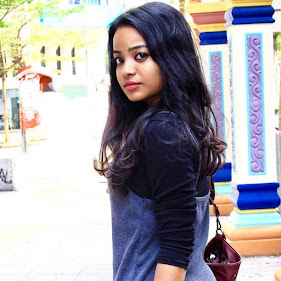 It is a matter of applying and walking towards the journey of getting beautiful lips. Here is the catch. Oh, wait! 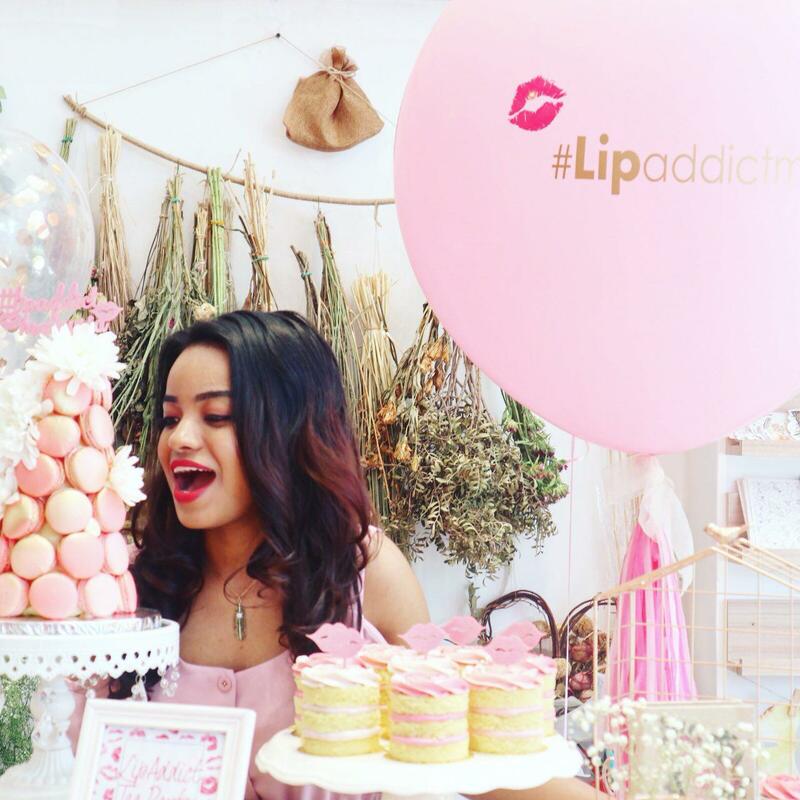 Let me walk you through what Lip Addict does to our lips first. Also, I have a few images which show my transformation at the end of the post. You will be shocked! Unbelievable right? It is not a mediocre lip gloss that we all are aware of. It is anti- Ageing lip treatment that I rarely see in the market. Maybe I am just not aware of such product being in the market. It contains a proprietary nano peptide complex that boosts collagen and elastin production resulting in less visible fine lines and wrinkles on the lips and the surrounding lip area. As an instant enhancement, their proprietary plumping formula is suspended in Hyaluronic Acid which naturally binds water to give your lips instant, natural volume. It is instant healing as it is packed with Vitamin C & E which leads to superior skin-repairing ingredients that help to sooth and heal dry cracked lips, keeping them healthy and soft in any weather. Lip Addict also has natural organic moisturizing oils which lock in moisture, providing all-day hydration for dry and chapped lips. All you need to worry about is which colour will match today's outfit! Wonder how come Lip Addict can do 4 amazing things to our beautiful lips? The ingredients were richer than my bank account balance! *Just kidding! Collagen, grape seed oil, apricot kernel oil, jojoba oil, hyaluronic acid, castor oil, aloe vera, vitamin C& E, mint and stevia. 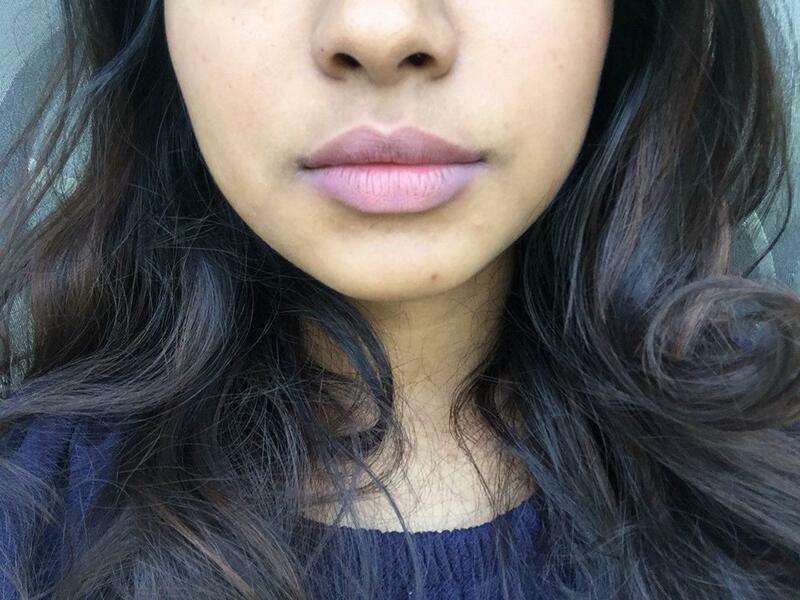 Lip Addict comes in 12 gorgeous shades which I tried on my hand. The transparent shade is made to suit both the male and female when the demands for man started to reach high. Yes, it is important to take care of your lip regardless the gender. In the event, we were even briefed on how to do a day makeup and evening make up. I learned so much on the eyeshadow part especially on which colour to be used at which time. I was also taught on how to mix the shades to get our own preferred shades which were so fun. I learned a lot of beauty tips from her too. Every coin has two sides to it and so does Lip Addict. Let's start with the cons. My hair and the lip gloss didn't get well along very well. They literally hate each other as whenever I apply the lip gloss, my hair will stick on my lips without a fail! The first week I really did struggle. If you're having a windy day and you're going to have loose hair then all the best! I personally think it is because I was too cautious about the lip gloss on my lips. So I was aware of every movement that is happening near my lips. Next week itself I wasn't having a tough time with the hair on my face. Maybe it is just me?! Now let's go to the pros. 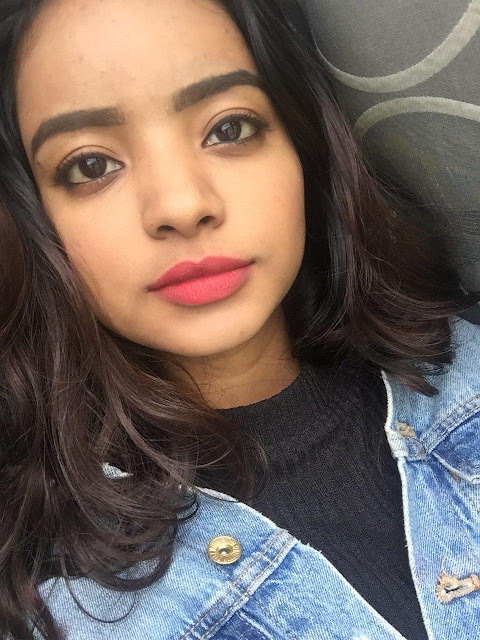 So here are my lips on the day right before I got to know about Lip Addict. Yes, it is chappy and very dehydrated though I was drinking lots of water. Here are my lips after two weeks. 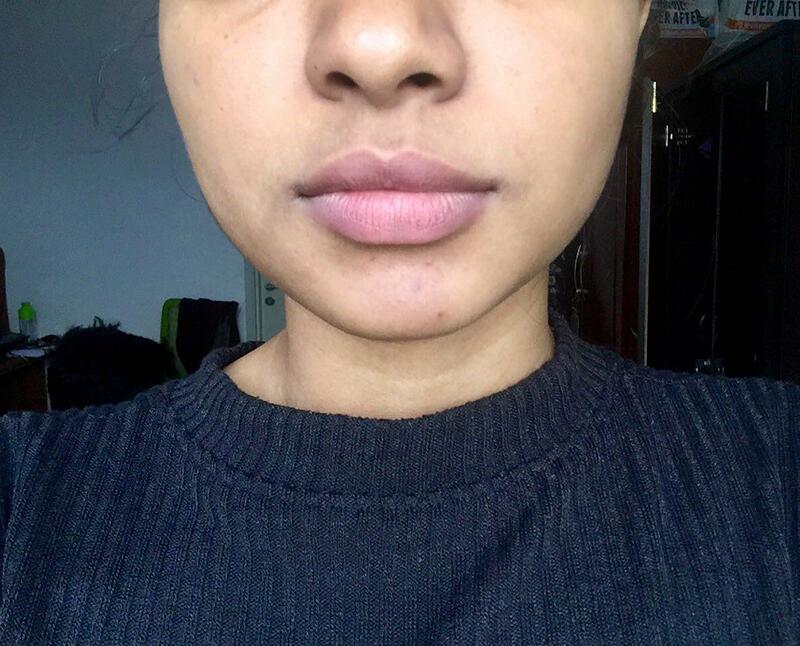 Here are my lips after 4 weeks. I do wish to say that my pictures speak for itself but I am not that mean. Am I? Well, as you can see in the picture, I am no longer having chappy lips which were a big jackpot! I always have chappy lips if I don't exfoliate it and manage it well! The fine lines got better as my lip looked less wrinkled due to chappy lips. It definitely did a deep healing. 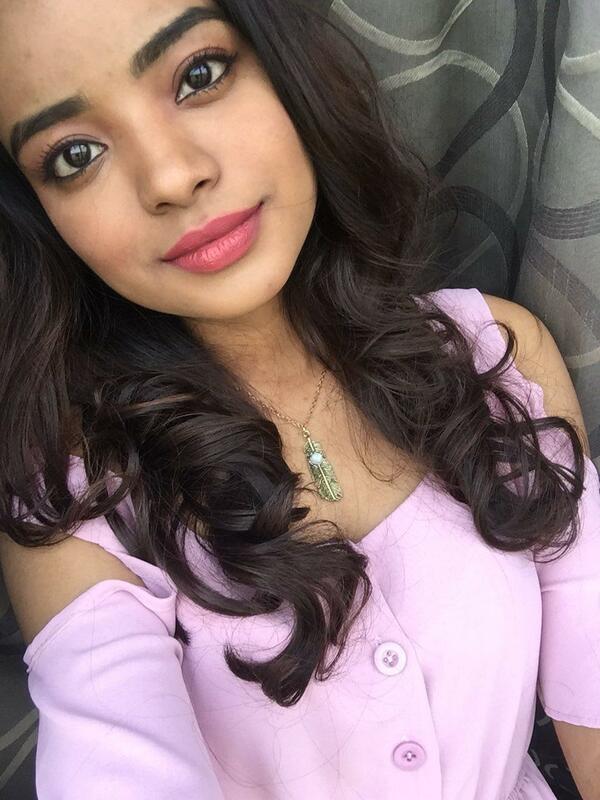 When it comes to the lip colour, I have dark lips and now I can see the improvement on my lip shade where it is lighter than before. My upper lip looks a little plump than before. Or should I say it is much more defined? I am more confident in pouting now. LOL! I love the part where I don't have to use an injection or needle to get such a result. I just have to apply the lip gloss like how I apply my normal lip gloss and that's it! A better lip is on the way. I also like I don't have to use multiple products like lip scrub, lip cream, lip gloss, lipstick. The money that I put in getting all of these things are put into one and I save more money. Nevertheless, I had my way of applying the Lip Addict to be able to see the result within a month. Here is the catch! I wore the Lipgloss in the morning, afternoon, evening and right before I sleep. Yes! I use the coloured shades during the day and the transparent one before I sleep. I had to apply so frequently because the lip gloss can wear off easily right after we take a meal. 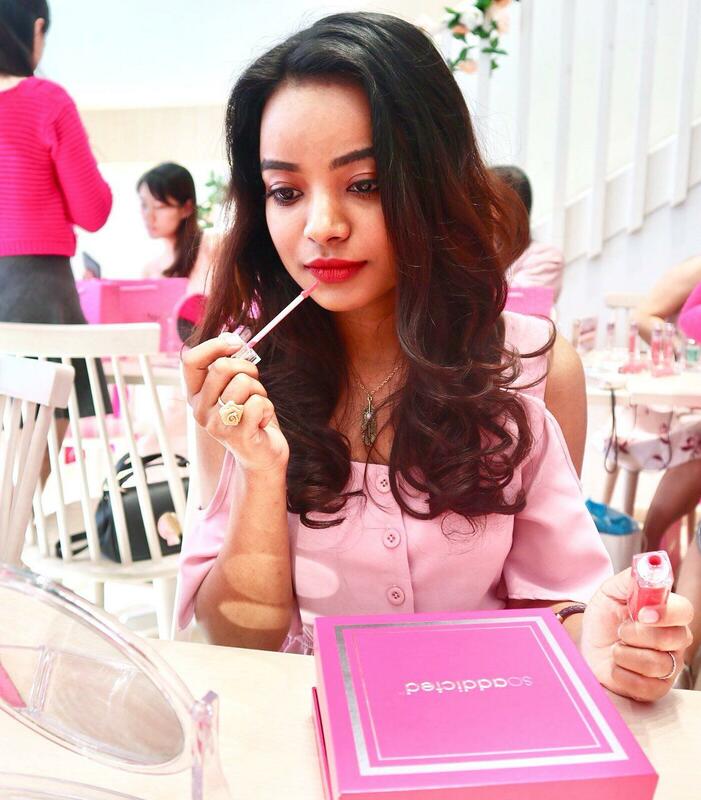 To those who have not tried mentholathum lip gloss then Lip Addict might give you a new experience. It twitches your lips a little and gives you a fresh lips feeling! The Lip Addict might not be known to many as it is exclusively being sold only in the beauty parlour. It can't be purchased in drug stores. 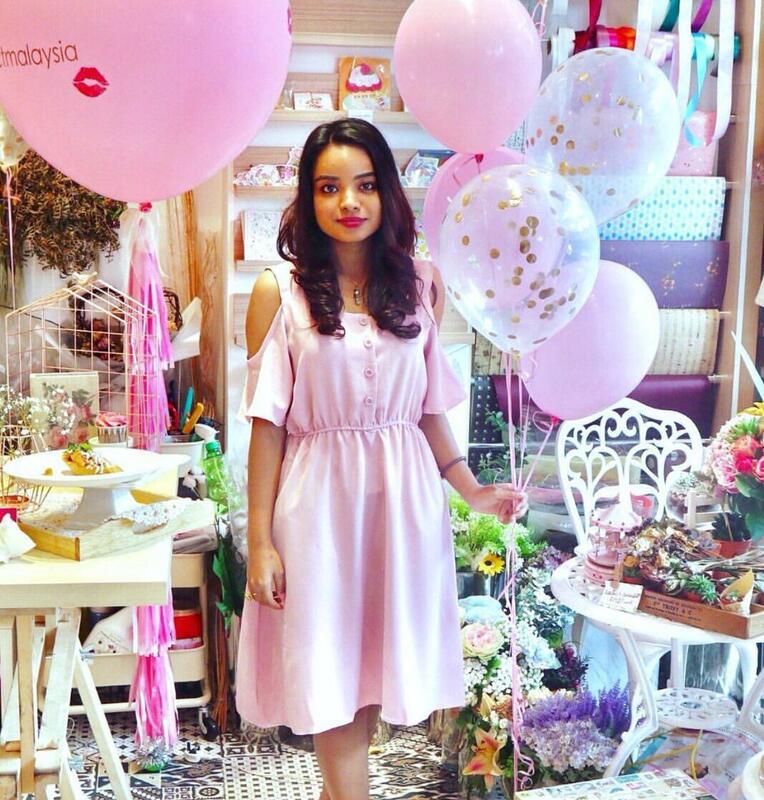 Thank you so much #ButterflyMsia for such a great experience, Happ Cafe for lovely food and Lip Addict for a great experience! Announcing The Great Brew Fest!